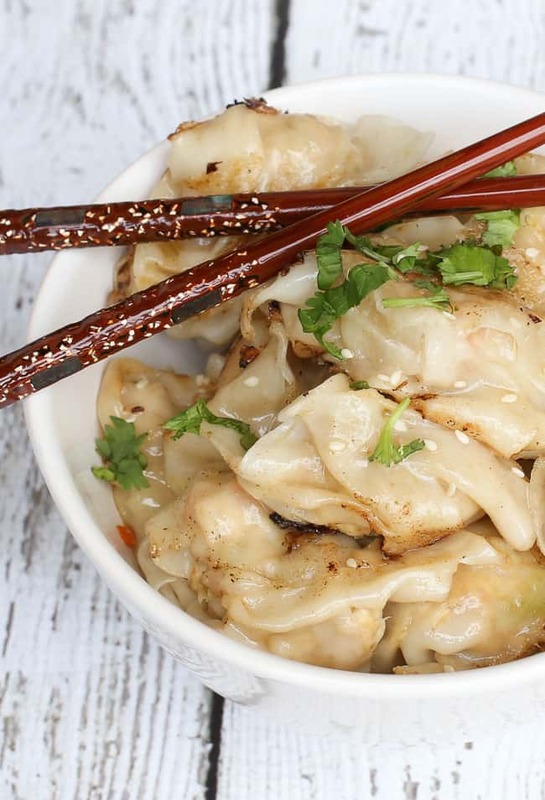 One of our favorite Asian dishes is dumplings. I remember the first time we tried them. It was a few years ago, right after we bought our first house. We had just finished meeting up with a craigslist seller (a contractor) who was selling off a huge lot of wood flooring. We bought the entire thing, unknowingly taking on what would become a much larger project than originally assumed! It was getting late and we were passing through Rockville, MD, which also happens to host the best dumplings joint in the area. Hungry and tired we decided to pop in for an order. It didn’t take me long to try making these at home. And while international dishes are never 100% authentic when made at home by a non-native, we love this version. We usually use ground chicken or ground pork but I wanted to go with a lighter option. In my opinion, it’s pretty difficult to tell that it’s not chicken or pork. And if you’re seeking a vegetarian option, this is a super easy meal to make meatless. I actually tried this without using any meat and was thrilled with the flavors it had. Be sure to read my notes on boiling below. In a skillet, sauté 2 T sesame oil, garlic and onion together for about 5 minutes. 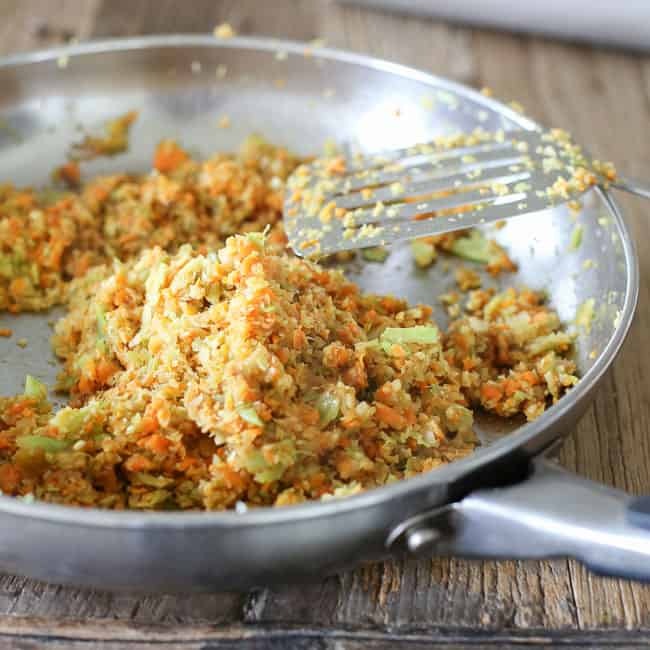 Add in cabbage, carrots, and another tablespoon of oil. Sauté for 5-10 minutes until cabbage and carrots begin to soften. Add ginger and soy sauce and stir. Add turkey and combine thoroughly. 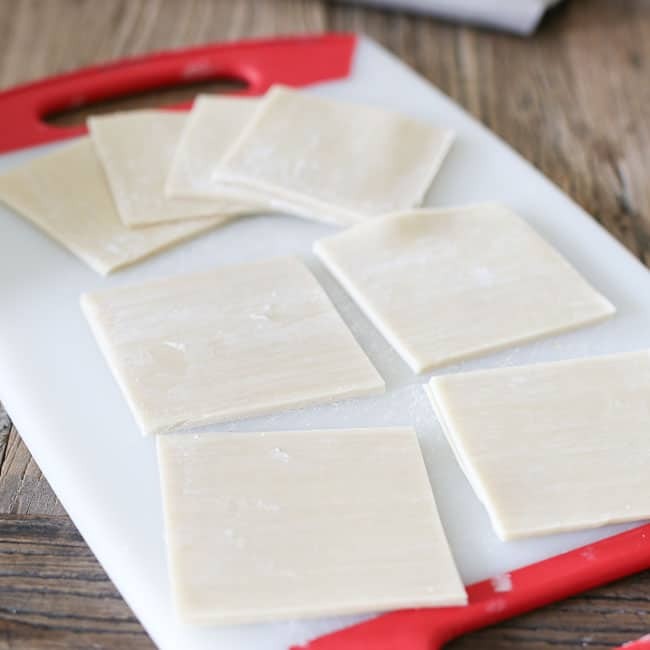 Cut each wonton wrapper into 4 squares (one cut horizontally and one cut vertically to make four even squares). Fill a large pot with water and bring water to a boil. 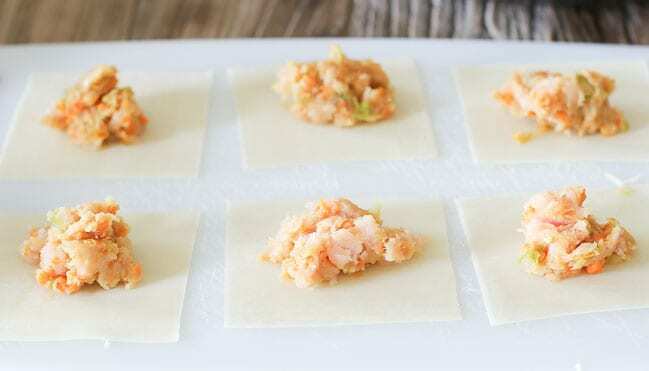 Meanwhile, place one tablespoon of filling on each square. Wet edges of wrappers and fold. 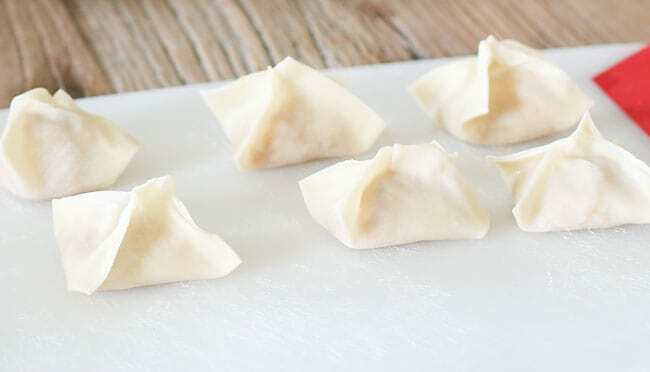 Wontons can be folded in any shape as long as they stay closed. Do this with all 52 squares. 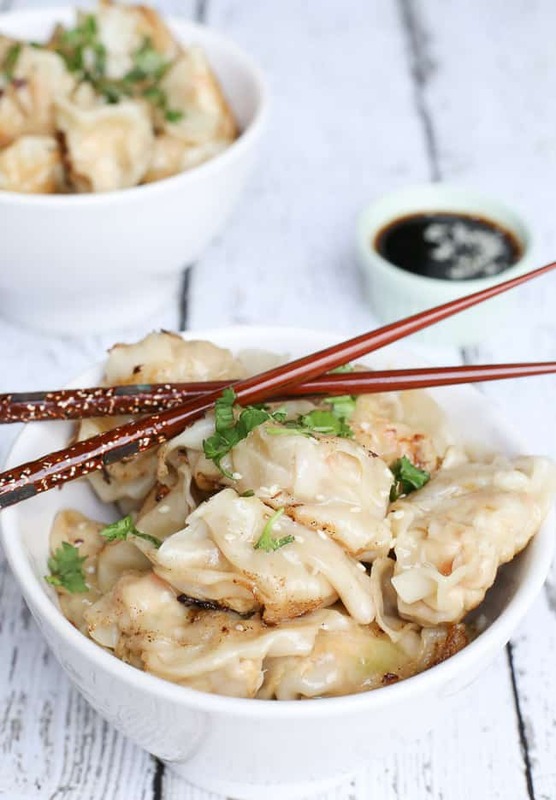 Drop dumplings into boiling water, 10 dumplings at a time and boil. VEGETARIAN: If you opt out of using the turkey, boil dumplings for 2 minutes. 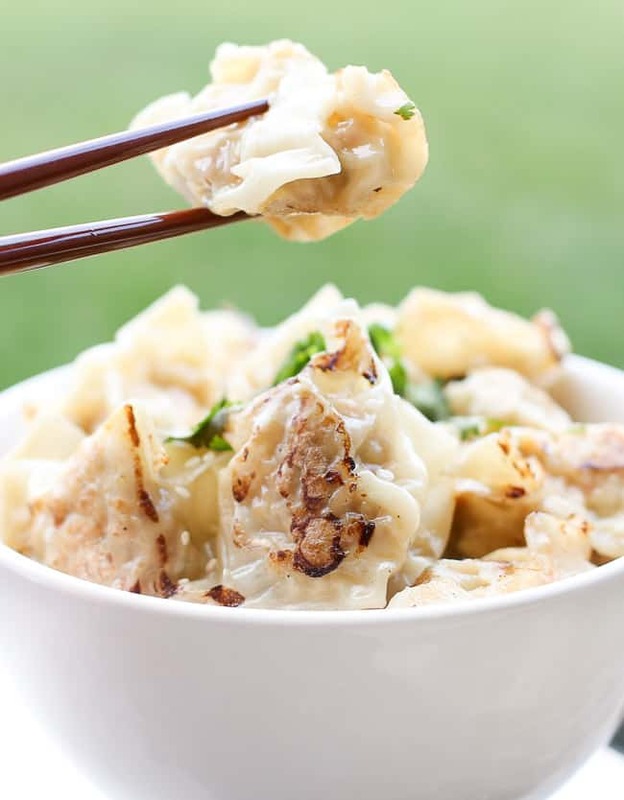 NON-VEGETARIAN: If using meat, boil dumplings for 4-5 minutes, making sure turkey is thoroughly cooked. Optional: Once dumplings are completely cooked, place them in a colander or on a rack to dry for a minute. Heat 2 T of sesame oil in a skillet on medium heat. Sauté dumplings for 1 minute on each side to lightly brown. 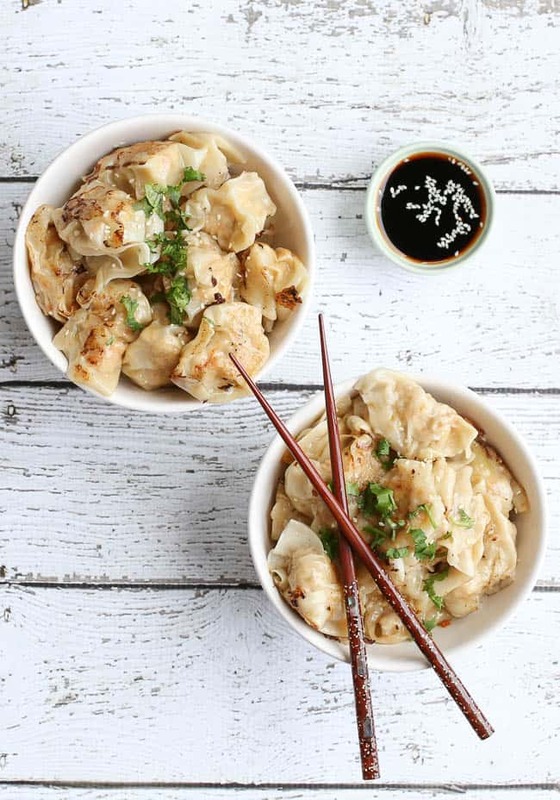 Serve dumplings with a light sprinkle of sesame seeds and with a side of soy sauce.